Forests and global change: what can genetics contribute to the major forest management and policy challenges of the twenty-first century? The conservation and sustainable use of forests in the twenty-first century pose huge challenges for forest management and policy. Society demands that forests provide a wide range of ecosystem services, from timber products, raw materials and renewable energy to sociocultural amenities and habitats for nature conservation. 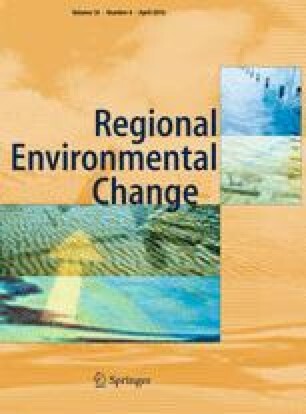 Innovative management and policy approaches need to be developed to meet these often-conflicting demands in a context of environmental change of uncertain magnitude and scale. Genetic diversity is a key component of resilience and adaptability. Overall, forest tree populations are genetically very diverse, conferring them an enormous potential for genetic adaptation via the processes of gene flow and natural selection. Here, we review the main challenges facing our forests in the coming century and focus on how recent progress in genetics can contribute to the development of appropriate practical actions that forest managers and policy makers can adopt to promote forest resilience to climate change. Emerging knowledge will inform and clarify current controversies relating to the choice of appropriate genetic resources for planting, the effect of silvicultural systems and stand tending on adaptive potential and the best ways to harness genetic diversity in breeding and conservation programs. Gaps in our knowledge remain, and we identify where additional information is needed (e.g., the adaptive value of peripheral populations or the genetic determinism of key adaptive traits) and the types of studies that are required to provide this key understanding. The online version of this article (doi: 10.1007/s10113-015-0843-9) contains supplementary material, which is available to authorized users. This paper stems from the work of the stakeholder panel of the EU supported EraNet BiodivERsA project “Linking genetic variability with ecological responses to environmental changes: forest trees as model systems (LinkTree)” whose financial help is acknowledged. BF wishes to thank the French “Commission des ressources génétiques forestières (http://agriculture.gouv.fr/conservation-des-ressources)” (CRGF) and EUFORGEN (http://www.euforgen.org/) for insightful discussions. SCG-M acknowledges receipt of a Senior Marie Curie Intra European Fellowship within the 7th European Community Framework Programme (PIEF-GA-2012-328146) at the Department of Ecology and Evolution, University of Lausanne, Switzerland.